The Canadian Transportation Agency issued its final ruling today in respect of the tarmac delays of two Air Transat. The two flights, from Brussels and Rome, 157 and 507, were severely affected in Ottawa on 31st July this year. The CTA found that during the tarmac delays affecting the flights the airline, Air Transat, did not properly apply its own tariff rules related passenger disembarkment – because aircraft commanders did not consider the option to disembark passengers when the delay exceeded 90 minutes – and to the distribution of drinks and snacks. The CTA also found that the air carrier was not relieved of its obligations to passengers simply because events beyond its control required diversion of the flights to Ottawa or because the actions of other parties contributed to the length of the delays. 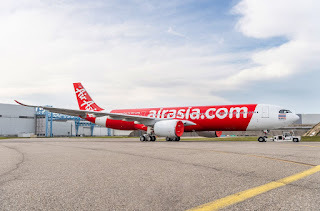 Finally, the CTA found that it was unreasonable for the tariff's Force Majeure rule to be as broadly worded as it was, and for pilots to have such wide discretion to decide whether or not to allow passengers to disembark, no matter how lengthy the tarmac delay. Compensate all passengers of the two flights for out-of-pocket expenses incurred as a result of the carrier's failure to apply its tariff. Ensure that its employees are properly trained on tariff provisions, policies, and procedures related to tarmac delays and that employees understand these are legal obligations the air carrier is bound to respect. Amend its international tariffs to incorporate the terms and conditions of its Contingency Plan for Lengthy Tarmac Delays at US Airports, which create a positive obligation for the air carrier to deplane passengers if a tarmac delay reaches four hours – unless there are safety, security, or air traffic control issues that prevent it– and require that during the delay, the air carrier provide passengers with updates every 30 minutes, working lavatories, and needed medical assistance. tighten the definition of Force Majeure in its tariffs. Following this determination, a CTA issued a fine of $295,000 against the AirTransat. The airline issued the following statement regarding the issue, "Air Transat acknowledges the Canadian Transportation Agency (CTA) decision regarding the events surrounding the tarmac delays incurred by its flights from Brussels and Rome that landed at Ottawa after being rerouted because of severe weather conditions in the Montreal area. 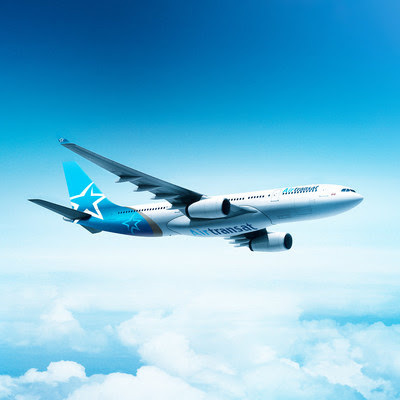 Air Transat will take all necessary measures to comply with the CTA's directives, including amending its tariffs and ensuring that its staff are adequately trained to meet its new commitments to passengers. The carrier has already begun implementing corrective measures and pledges to continue doing so as part of a continuous-improvement process. "We reiterate our sincere apologies to our passengers who experienced a difficult situation," said Air Transat President Jean-François Lemay. "For more than 30 years, we have been firmly committed to providing all of our customers with a quality experience. 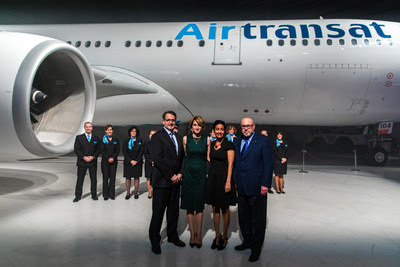 Air Transat welcomes the CTA's clarification of carriers' obligations in such circumstances and the Agency's invitation to all industry players to improve collaboration to ensure that such a situation does not reoccur," he concluded. The Air Transat statement goes on to say, "furthermore due to the extraordinary circumstances in this case, Air Transat will offer $500 to each passenger of the four flights affected by the events in question. The compensation will take into consideration sums already paid to passengers." Which sounds incredibly generous, however by paying the affected passengers a proportion of $500 (500 less any amount they've already received) the carrier will be able to reduce the amount of the penalty imposed by the CTA dramatically. In other words, they save more money by paying a little extra to the passengers.